BC’s popular Hands-on Cook-off contest returns on April 15 with the heartfelt goal of encouraging families to celebrate the importance of cooking and eating together. 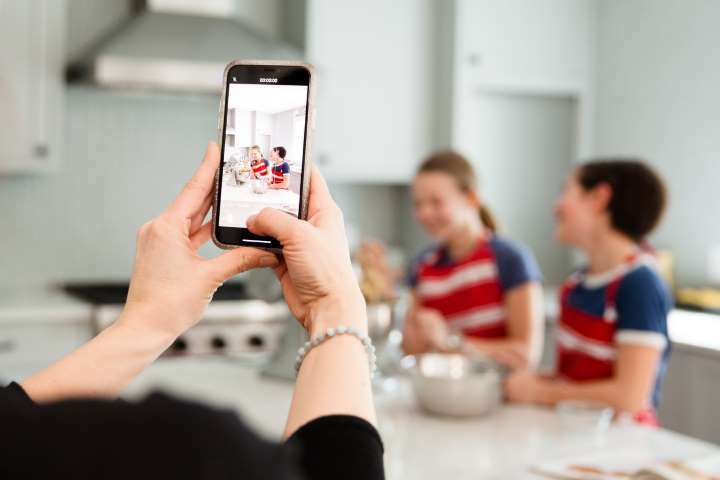 From April 15th to May 15th, families across BC are invited to participate in this unique video challenge that aims to inspire kids, teens, and adults to cook together and reap the valuable benefits of sharing meals. This year marks the ten year anniversary of the Hands-on Cook-off contest. New research confirms the value of frequent family meals, long associated with lifelong benefits that include healthier eating into adulthood, fewer behaviour problems, better grades, lower risk of disordered eating and depression, and healthier body weight. Families that make a habit of cooking and eating together early on enjoy improved dietary intake, including higher intakes of fruits and vegetables and lower intakes of fast food and takeout foods for both female and male youths in both high-functioning and low-functioning family environments. Over the years, the Hands-on Cook-off contest has become a beloved tradition in BC and always garners the support of schools, community organizations, families, and chefs all across the province. In a nod to its ten year anniversary of celebrating a multigenerational approach to cooking and eating together, this year’s contest theme is ‘memory-making in the kitchen’. The contest will highlight the many memorable past contestants and award-winning submissions it has received in the past ten years, while encouraging families to make new memories in the kitchen this year. To date, the contest has received over 335 video submissions from participants across BC and awarded over $35,000 in cash and in-kind prizes. The Hands-on Cook-off contest runs from April 15th to May 15th, 2019. Any BC resident can learn more and enter the contest online here. Videos must include two or more people preparing a recipe together—and having fun while doing so is an essential element! Videos must be no longer than three minutes in length and meet additional criteria detailed here. Multiple cash prizes up to $1000 will be awarded in two categories: multigenerational and youth. New to the contest this year is the addition of the alumni draw, rewarding returning participants with the chance to win $500 cash. Total prizes up for grabs are valued at over $4500. Full prize details can be found here. Better Together, www.bettertogetherbc.ca is an active online community forum, designed to celebrate family meals, cooking, and trying new recipes. We exist because eating together, whether as a family or otherwise, offers many health and social benefits for both children and adults – including better nutrition, school performance, and social adjustment. Previous articleOrlando Bloom Selling in Beverly Hills Before Wedding Katy Perry! Next articleSandra Bullock’s Sweet Georgia Home!